Last week marked the anniversary of one of the most significant and darkest events in recent British history. In 1972, as a response to the introduction of internment without trial in Northern Ireland, a protest was organised in the city of Derry for Sunday, the 30th of January. Among the 10,000 present were MP Bernadette Devlin and Father Edward Daly, future bishop of Derry. The Parachute Regiment, present due to fears of rioting, opened fire on the protestors and killed fourteen people, on a day that quickly became known as Bloody Sunday. Jackie Duddie was mortally wounded as he ran away from the soldiers, his killer taking deliberate aim at the teenager. Michael McDaid and John Young were shot in the face while going to the aid of the injured William Nash: all three died. Jim Wray was shot in the back as he lay motionless and wounded on the ground, crying out that he could not move his legs. All those who died were innocent, yet no justice has been brought against their killers. Now, nearly 50 years on, the government seems to have committed itself to making sure none ever will. The idea of protecting ex-servicemen from prosecutions relating to their time in Northern Ireland was proposed by a group of Conservative backbenchers, most of whom had served in the armed forces. However, it has now become mainstream in the party. Theresa May has described the bringing of prosecutions as “patently unfair”, and Defence Secretary Gavin Williamson used the phrase “witch-hunt”. A third of all Tory MPs (including Sir Michael Fallon) signed a letter last October echoing these sentiments, calling for the government to “put in place a lasting legal protection” for servicemen “wherever and whenever they serve”. Such legislative action is seeming increasingly likely. In December, Williamson announced that the Ministry of Defence “are very close to . . . finding a solution and making sure former and serving personnel will not go through the strain, the worry and the trauma of fearing a knock on their door.” The plan to ensure that ex-military personnel aren’t ‘dragged through the courts’ could become reality within a few months. And that would be a tragic miscarriage of justice. It is widely recognised that the government has duties towards those who serve in its armed forces. But these duties do not extend to allowing them to kill with impunity, or to engage in collusion with terrorist groups, as happened throughout the Troubles. One of the fundamental commitments of a liberal democracy is that its security forces are subject to oversight and are accountable to the people they are supposed to serve; this includes abiding by the same laws as the people. Those who abused their position must be held responsible for their actions. The idea that all Army personnel in NI served their nation well, and that opposition to them could only arise out of anti-British sentiment or republicanism, is a popular one. But it is one that fails to understand the gravity of what took place. Growing up in Derry, a city that has been shaped by its experience of the military, the horrors of Bloody Sunday were imprinted on my mind as early as I can remember: the murals, the photographs, the stories. I still remember my teacher describing to nine-year-old me the chaos and fear of the march. When one comes to appreciate that at least 151 unarmed people in NI were killed by the security forces in just five years between 1969 and 1974, the stark reality ought to speak for itself. Yet, clearly it does not, as the statements of politicians (quoted above) all too readily show. The problem is a dearth of proper Northern Irish representation in UK political discourse. 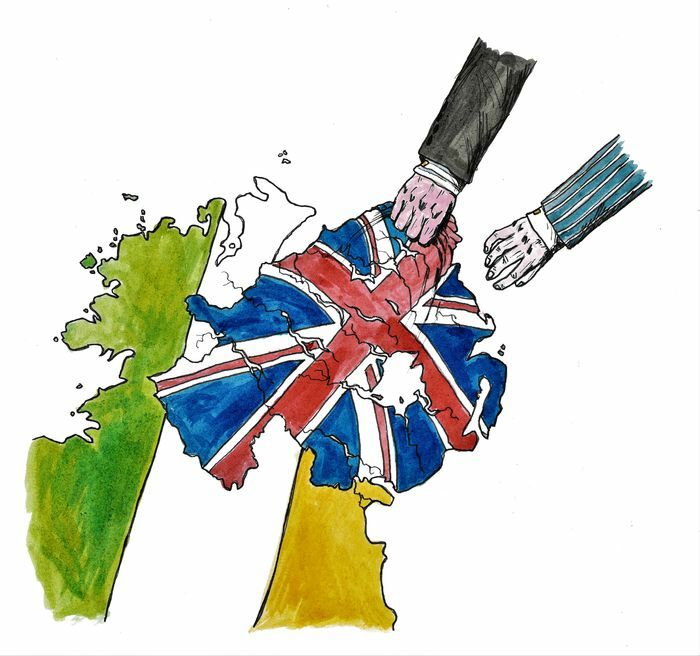 It is all too easy for British politicians (and voters) to see Northern Ireland as a backwater, or worse, a colony, whose interests need not be taken into account. This is exacerbated by the immense partisanship of the province’s own politics, which means that we are almost solely ‘represented’ in Westminster by the abstentionist Sinn Féin and the DUP. There is nobody to speak up for us, nobody to be the voice of the victims of the security forces and their families, and nobody to challenge the nationalistic narrative that informs and sets the context for political discussions about the Armed Forces. Liberal democratic nations, committed to justice, must check and oversee their security forces, and when their soldiers kill civilians and collude with violent terrorists leaders must subject them to the full force of the law. To give immunity to those who broke the law in NI is fundamentally undemocratic. It is done on the basis that they are ‘our’ veterans, who served ‘us’, who fought for ‘our’ safety: yet they were not Jackie Duddie’s veterans; they did not serve the people of Derry; and they certainly did not fight for the safety of the innocent, whose deaths they are responsible for. If we truly believe in justice, in peace, in democracy, we cannot uncritically believe that everyone who served in NI served well. The victims of the security forces deserve better.